The W9330958 is an inline water filter system utilizing Doulton ceramic technology with a variety of filters to choose from. It comes with a UltraCarb Candle filter but it will work with other grades of 10-inch candle filters with a short thread mount. This Doulton HIP undersink Filter System comes complete with a Doulton UltraCarb Ceramic Filter Candle and features a durable plastic housing. The entire system is NSF Certified. 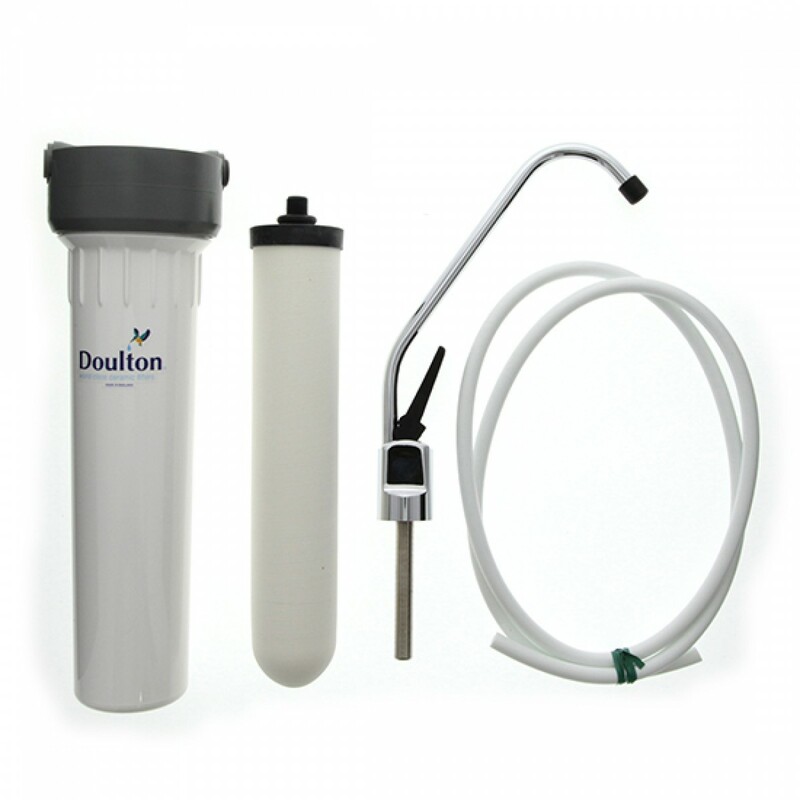 The Doulton W9330958 Water Filter System connects easily under the sink and includes all parts needed for a standard installation. The faucet supplied with the W9330958 system is CA Prop 65 approved. Doulton Super Carb is a highly efficient ceramic micro filter which provides genuine submicron filtration of drinking water. The incorporation of silver locked within the ceramic structure inhibits the growth of bacteria and gives each cartridge enhanced bacteriostatic and self-sterilizing properties. The Doulton UltraCarb is a four stage cartridge combining the highly efficient filtration properties of ceramic with the enhanced water treatment properties of activated carbon and the heavy metal reduction capabilities of ion exchange media. 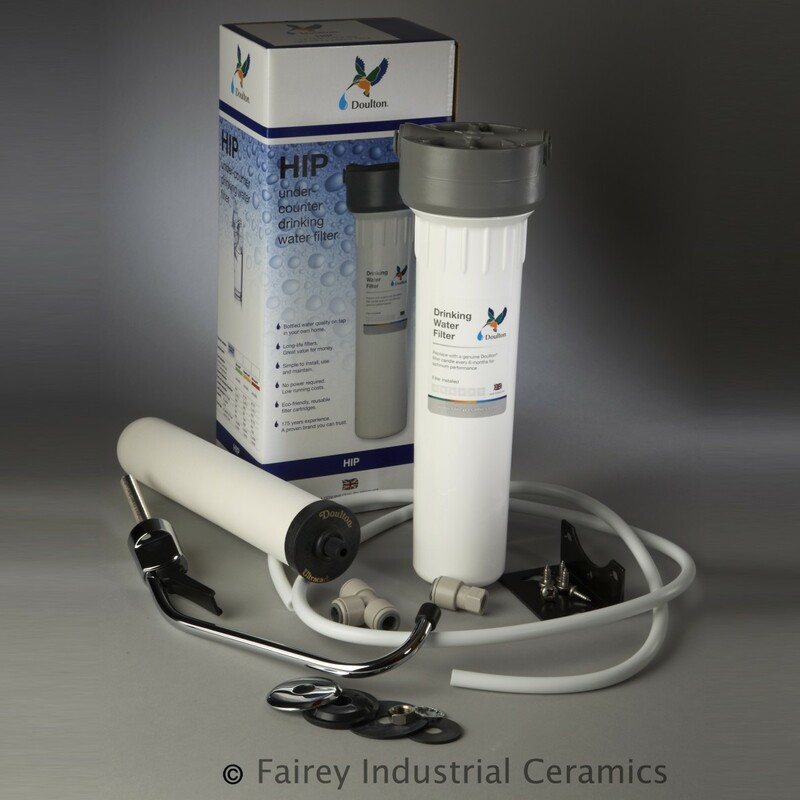 The Doulton HIP/DIY UltraCarb Filter System provides a high level of Chlorine and organics removal, along with Lead and other heavy metal reduction.